Railpictures.ca - Jason Noe Photo: CP AC4400CW 8608 leads a westbound towards London with a mix of SD40-2’s and other GE’s through Thamesford, Ontario on the Galt Subdivision. | Railpictures.ca – Canadian Railway Photography – photographie ferroviaire Canadienne. 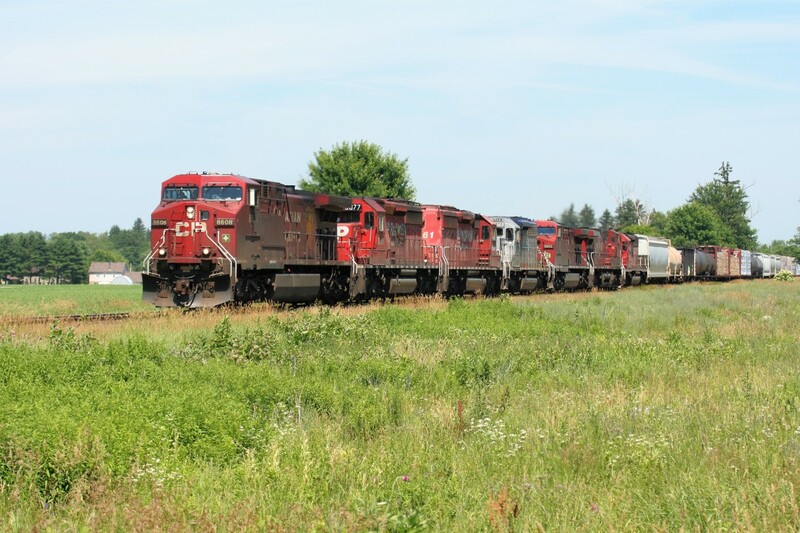 Caption: CP AC4400CW 8608 leads a westbound towards London with a mix of SD40-2’s and other GE’s through Thamesford, Ontario on the Galt Subdivision.